Harpdog Brown has earned a solid reputation as a real-deal purveyor of classic electric blues. Think of the old Chess Records and Sun Records of the late 40's and early 50’s. These days he’s been touring more and more as Harpdog Brown & the Uptown Blues Band - a vintage New Orleans Blues sound featuring slide trombone, keyboards, bass and drums and often a sax and clarinet. Still a vintage vibe, just a different vintage! This music will move you! They perform mostly originals yet they often include great songs of the masters from that era. Think Louis Jordan, Satchmo, Sonny Boy Williamson, Wynonie Harris, even Duke Ellington. Audiences are raving about this new show! He’s been called a Blues Evangelist, and that’s a very fitting moniker. "I speak the blues like it's the truth, and it is”, he was recently quoted. "I do feel like I'm a servant of the people. A missionary if you will. Music can heal people if they pay attention to the messages in these songs.” He delivers those messages using the vintage sound whether it be with his lowdown classic blues band the Travelin’ Blues Show or with his new Uptown Blues Band. Harpdog says "Blues has a healing power. It's a beautiful celebration of our perfectly flawed lives. We help people forget about their issues of the moment and then they realize that we all have our issues, and that's OK."
Harpdog Brown is a gifted vocalist and an imaginative harmonica player. 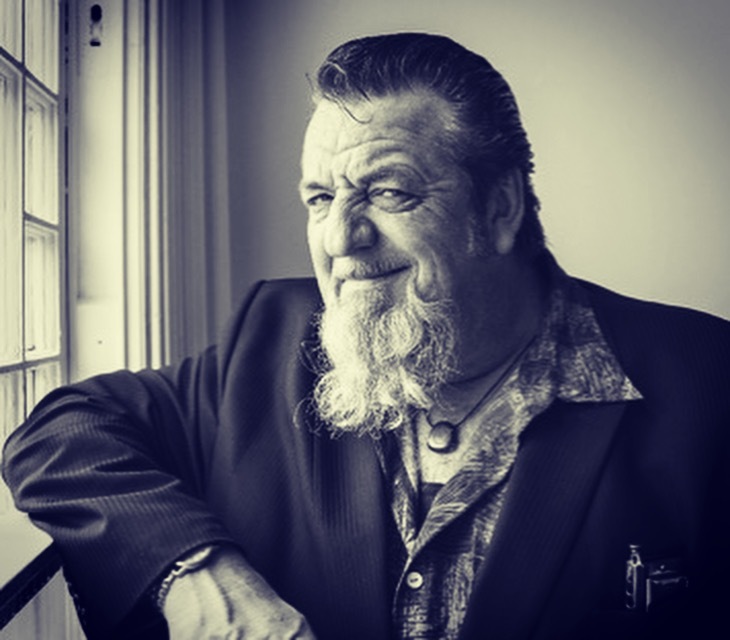 He has won three consecutive Maple Blues Awards for Harmonica Player of the Year (2014/2015/2016), the Fraser Valley Music Award, has three consecutive Western Canadian Music Awards Nominations, a Juno Nomination and is the only Canadian to win the coveted Muddy Award. In 2016, he was nominated for 3 Maple Blues Awards (Harmonica Player, Male Vocalist and Album of the Year) for his latest release Travelin’ With The Blues. Travelin' With The Blues released in 2016 is listed as #9 on the Roots Music Report Top Classic Blues Albums of 2017. This follows his Top 20 charting 2014 release What It Is (Roots Music Report International Blues Albums). Harpdog Brown & The Uptown Blues Band. Pre-Order the new album For Love & Money Now available on Pledge Music Song: I'll Make It Up To You Written by Brandon Isaak (https://www.brandonisaak.ca/) Performed by Harpdog Brown & The Uptown Blues Band Harpdog Brown, Vocals and Harmonica Dave Webb, Piano Skye Lambourne, Trombone Bob Grant, Drums Billy Joe Abbott, Clarinet Filmed LIVE by Tractorgrease Studio. Watch: The Blues Tribe Interview and live performance. Our March guest is Harpdog Brown and the Travelin' Blues Show. In this episode Harpdog provides an entertaining and frank interview ranging from the story behind his name to his scotch preferences. Songs performed are "Home is where the Harp Is" and "Sacrifice". See why he and the Travelin' Blues Show are a must-have at any Blues Festival, a great fit for any Theatre Venue and an incredible fit for cabaret and bar shows! As Holger Petersen (Host of Saturday Night Blues on CBC Radio One and Natch'l Blues on the CKUA Radio Network) says, "this band could play anywhere in the world, in any venue, large or small, and blues fans of all stripes would love this show". Click here to download press kit!